You know what the term order gatherer means. Lovingly speaks with local florists every day, so we know everybody understands the term, and how they feel about it. But let’s clarify. A local florist is a creative artist, craftsperson, entrepreneur and relationship expert. He or she lives and works as part of a local community, building relationships, dealing with wants, needs, and deep emotion of all kinds on a daily basis. The florist is a floral expert who creates and hand-delivers those creations. Truly, the florist makes a living by making a difference – by strengthening relationships through meaningful giving. The industry understanding of an order gatherer is essentially any company that pretends to be a local florist. In reality, it’s a “service” that exists to gather orders, pass them along to an actual florist, and take a sharp cut in commissions and service fees. The wire services have been around since 1910, originally as a cooperative designed to help non-tech-savvy florists to wire orders via telegraph. Still a source of orders today, many florists feel that the tables have been dramatically turned. With the advent of the internet, finding a local florist and placing an order became simpler than it’s ever been for shoppers. Unfortunately, the order gatherers quickly placed themselves in the way. Then they began affiliating themselves with the wire services, so that a service designed to support local florists was essentially hijacked and used to compete against them. 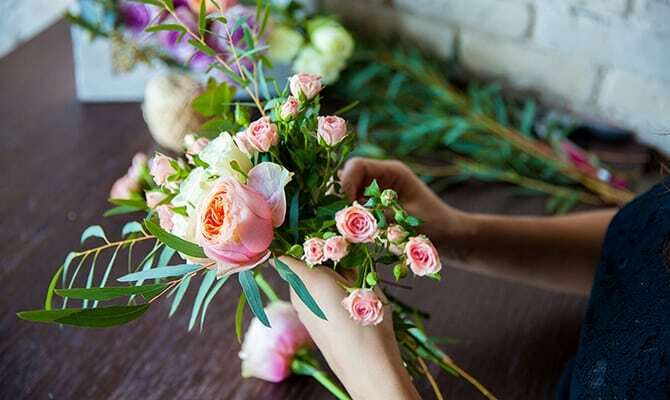 In 2017, according to Dun and Bradstreet First Research, the number of local florist stores in the US stood at just 13,800. Along with grocery stores as a competitive force, many florists feel that a large portion of the blame rests with those above. Here we take a look at the state of our industry and how to compete. When it comes to wire services, how many florists feel they are the ones doing all the serving? This type of situation is exacerbated by the combination of wire services and the really deceptive order gatherers working through them. Welcome to the faux local florist. The man in a grey, almost empty office, sitting behind a computer, who wouldn’t spare time to stop and smell the flowers, let alone know how to design a beautiful arrangement. Their only arrangements involve manipulations online that attract orders. At the merciless expense of the trusting shopper and hard working floral artist. As well as gobbling up the lion’s share of the margin, he can tear your reputation to shreds by linking your brand to inevitably inferior products. Where Is the Floral Industry Heading? The stats at the start of this post paint a dismal picture, but stats can’t express one crucial point. So what’s the source of the problem? The online world changed everything, in the floral industry and far beyond. With this kind of seismic change, we should remember an important mantra. The floral industry has been heading into cyberspace for some time. Wire services and order gatherers succeed by manipulating this fact. Still, the internet is a tool that can work for or against you. So you can use that tool to feed your local brick and mortar shop — and thrive. Yes — the internet exists to bring new loyal clients to your store. Of course, some feel that the endless resources of the order gatherers makes the situation hopeless. What they forget is that online success is about technological and marketing expertise, not endless resources — which means that carefully targeted investments can reap huge rewards. And with a no-contract, low-risk tool like Google AdWords, you immediately have the full power of Google in your corner and pay only when a potential new client clicks your ad. Future success for local florists is not a pipedream, it’s a strategy. And if that sounds like false optimism, let’s test it. 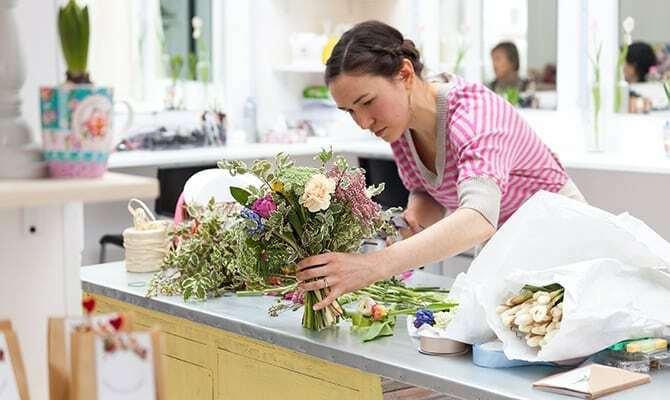 How Can Local Florists Break Away and Succeed? The status quo vs. the will to grow. At the start of the ecommerce revolution, some florists rejected the idea of an online store — seeing it as unrelated to their customers and their own art. So I need a website. Which is the cheapest? I’ll take that. Many of those are either no longer with us, or struggling to survive. The will to grow is different. Any tool that serves your business serves your art. It’s a friend and should be embraced. Many florists take that attitude. I need a website that competes. That provides the best return on investment. Let’s talk. And that’s the language of success. So What Are the Next Steps I Should Take? Of course, it is understandable for florists to take a defensive position. 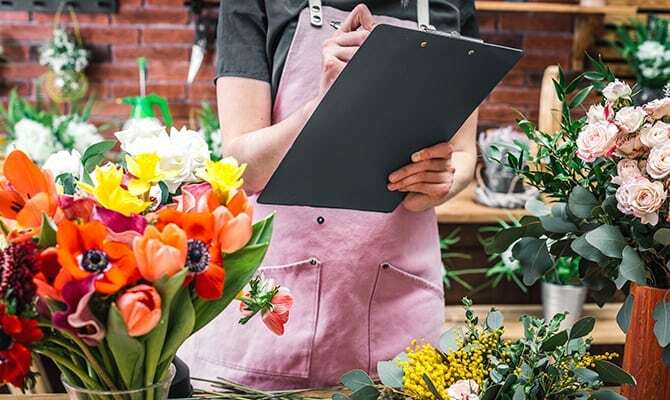 Tables have been turned, as described above, and many feel burned by “services” that profit by creating work for florists to do, while making it increasingly difficult to see the fruits of their labors. If something sounds too good to be true — it is! Today, it’s often difficult to convince some florists that continuous optimization is key to growth. Partly because of Google’s secrecy. Also — 85% of consumers trust online reviews as much as personal recommendations. Keeping optimized and able to deal with rapidly changing consumer expectations is tough. And here’s the dilemma for many florists. They can’t afford not to stay on top of these things. And they can’t afford to sacrifice the time needed to create beautiful designs and run their businesses. Putting time into researching the best partner for your needs is possibly the most important investment you can make. Check out the qualifications, tech experience, and length of online industry experience being offered. Then take into account the number of features and services included with your partnership, rather than offered as extras you can pay for on top. The right partner should be as dedicated and knowledgeable about marketing and technology as you are about your own area of expertise. And should be equally knowledgeable about the floral industry. Making the right choice makes all the difference. For a relationship that matters.